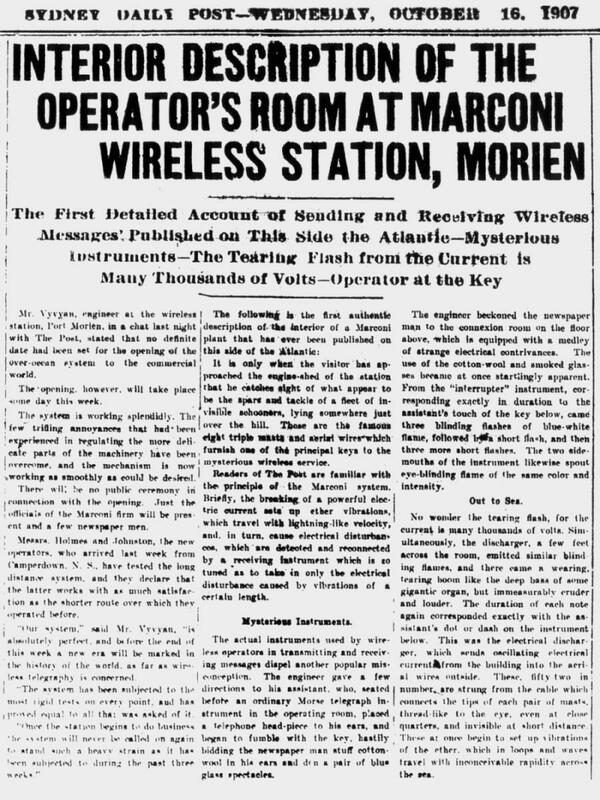 "Interior Description of the Operator's Room at Marconi Wireless Station"
working as smoothly as could be desired. ent and a few newspaper men. proved equal to all that was asked of it. the principle of the Marconi system. ses became at once startlingly apparent. quarters, and invisible at short distance.